Motion’s early collections of poetry include The Pleasure Steamers (1977); Dangerous Play: Poems 1974–1984 (1984), which received a John Llewellyn Rhys Prize; and Natural Causes (1987), which won a Dylan Thomas Prize. Known for narrative poems that often take up historical events in a meditative mode, Motion’s poetry manages clarity of expression while hinting at turbulent or unresolved depths. 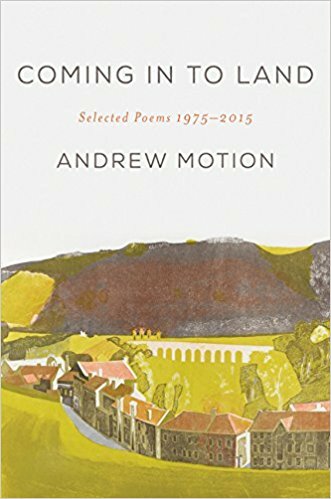 Motion’s later collections include Coming in to Land: Selected Poems 1975-2015 (2017), The Customs House (2012), The Cinder Path (2009), The Mower: New & Selected Poems (2009), and Public Property (2002), his first collection as UK Poet Laureate. Motion’s collections of nonfiction prose include biographies of Thomas Wainewright (2000), of Philip Larkin (1993), and of John Keats (1997). Motion has also published autobiographical prose, including the works In the Blood (2006) and Ways of Life: On Places, Painters and Poets (2009). His novels include The Invention of Dr. Cake (2003) and Silver: Return to Treasure Island (2012). Motion has served as editor for the Poetry Review and as editorial director and poetry editor for Chatto & Windus; he was knighted in 2009. From 1999–2009, he was Poet Laureate for the UK. Motion is also cofounder of the Poetry Archive and former president of the Campaign to Protect Rural England. In 2015, he moved to Baltimore, Maryland, to become the Homewood Professor of the Arts at Johns Hopkins University. Andrew Motion was born in London and raised in Stisted, Essex. He is the author of many books of poetry, fiction, and nonfiction. Motion’s poetry collections include Coming in to Land: Selected Poems 1975-2015 (2017), The Customs House (2012), The Cinder Path (2009), and Public Property (2002), his first collection as UK Poet Laureate. Motion’s collections of nonfiction prose include biographies of Thomas Wainewright (2000), of Philip Larkin (1993), and of John Keats (1997). His novels include The Invention of Dr. Cake (2003) and Silver: Return to Treasure Island (2012). Motion has served as editor for the Poetry Review and as editorial director and poetry editor for Chatto & Windus; he was knighted in 2009. From 1999–2009, he was poet laureate for the UK. In 2015, he moved to Baltimore, Maryland, to become the Homewood Professor of the Arts at Johns Hopkins University. From England’s former Poet Laureate, a collection of selected poetry spanning his celebrated career, presented for the first time by an American publisher. Andrew Motion has said, “I want my writing to be as clear as water. I want readers to see all the way through its surfaces into the swamp.” Though the territory of his exploration may be murky and mired—the front lines of war, political entanglements, romantic longing, and human suffering—Motion’s conversational tone and lyrical style make for clear, bold poems that speak to contradictions at the heart of the human condition. Whether underground in an urban metro, in the poet’s home, on the steps leading up to Anne Frank’s annex, or wading in the Norfolk broads, Motion’s richly imagined landscapes contain unspoken mysteries underneath the poet’s candor. In the tradition of English pastoral poetry that includes Ted Hughes, Seamus Heaney, and William Wordsworth, these poems skate over sweeping empires and plumb emotional depths, settling in a meditative, understated register. As an introduction to one of England’s most lauded living poets, English Elegies offers a moving depiction of this writer’s career as a chronicler of modernity’s pitfalls and triumphs. 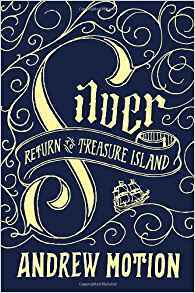 A rip-roaring sequel to Treasure Island—Robert Louis Stevenson’s beloved classic—about two young friends and their high-seas adventure with dangerous pirates and long-lost treasure. It’s almost forty years after the events of Robert Louis Stevenson’s Treasure Island: Jim Hawkins now runs an inn called the Hispaniola on the English coast with his son, Jim, and Long John Silver has returned to England to live in obscurity with his daughter, Natty. Their lives are quiet and unremarkable; their adventures have seemingly ended. But for Jim and Natty, the adventure is just beginning. One night, Natty approaches young Jim with a proposition: return to Treasure Island and find the remaining treasure that their fathers left behind so many years before. As Jim and Natty set sail in their fathers’ footsteps, they quickly learn that this journey will not be easy. Immediately, they come up against murderous pirates, long-held grudges, and greed and deception lurking in every corner. And when they arrive on Treasure Island, they find terrible scenes awaiting them—difficulties which require all their wit as well as their courage. Nor does the adventure end there, since they have to sail homeward again. Andrew Motion’s sequel—rollicking, heartfelt, and utterly brilliant—would make Robert Louis Stevenson proud.